World Variety Produce, Inc. of Los Angeles, CA is voluntarily recalling Italian Pine Nuts 2oz and 3oz, because it may be contaminated with Salmonella. Italian Pine Nuts were distributed to retailers throughout the U.S. 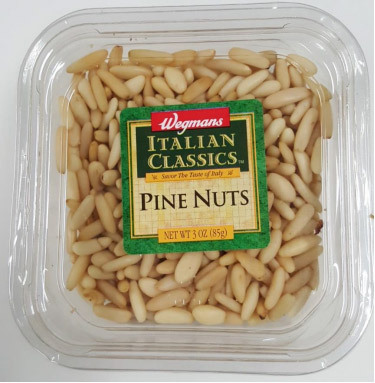 Although no illnesses have been reported to date, distributors like Melissa’s Italian Pine Nuts and Wegmans Italian Classics Pine Nuts have both voluntarily recalled various packages. Consumers who have purchased these items are urged to dispose of the recalled products. November 8, 2015 in Food, Food Safety, Recalls.